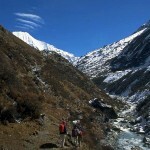 If you are looking for thrilling, unspoiled mountainous terrain to trek in, the Rolwaling Valley trek is your game. 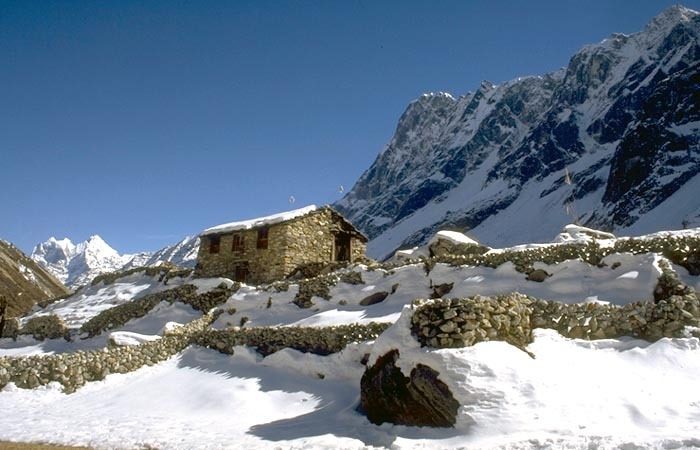 Rolwaling Valley is sandwiched between two glaciers and few have made it to this surreal, fascinating region surrounded by myths of the Yeti (said to be its home) and by peaks on all three corners. 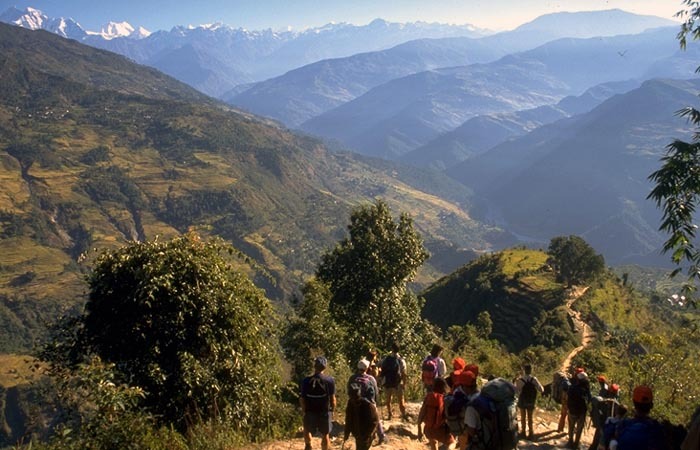 In fact, from the very start of the trek, one is captivated by the landscape which takes away the fatigue of the arduous hike ahead. The hair rising trails above fast flowing turbulent rivers and banks,and impassable passes which through the passing of time, have made it a place of venture for a few and at the same has managed to keep this part of the Himalaya region away from the onslaught of adventure seeker. 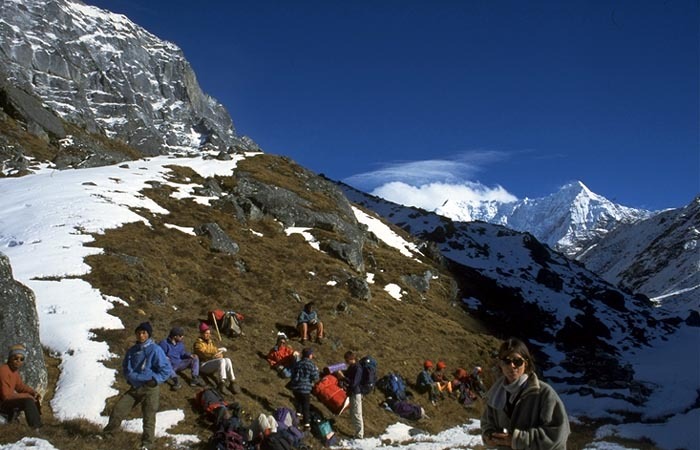 But for those who do, the reward is a plethora of Himalayan highland lakes, roaring waterfalls, serene snow capped peaks, hanging glaciers, moraines and dense alpine forests. The hike is mostly along the Rolwaling River from the Valley it gets its name from, littered with unspoiled floral beauty and fauna parts of nature. 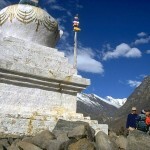 The culture in this area has also undergone the same evolution as that of its natural counterpart. 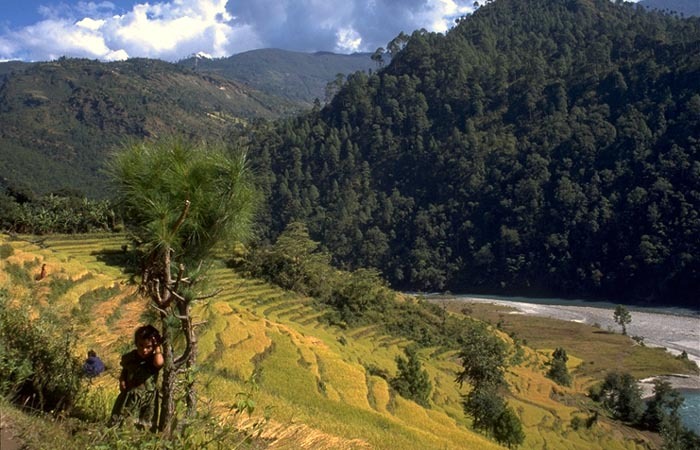 The trek, starts in earnest from Singati, after having arrived from Kathmandu, is a small town on the banks of Singati Khola (river) to Jagat gives you a taste of what lies ahead. 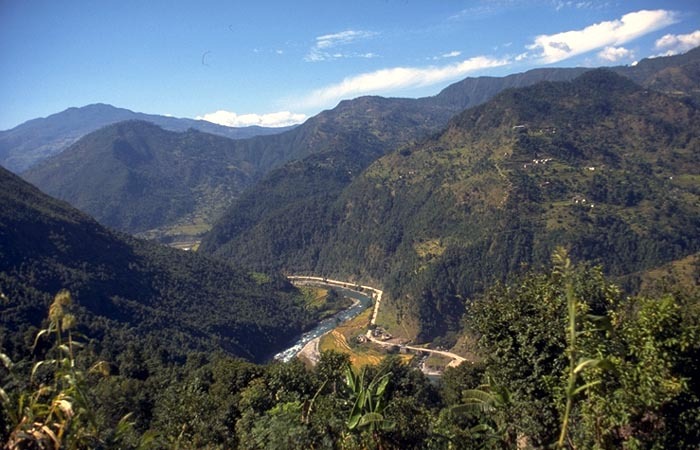 Jagat is situated above the Marsyangdi Khola a wonderful view of the rive,r which you would be following on the route to Simigon whose inhabitants are mostly Sherpas and Tamangs and was one of the villages bouldered by the Maoist and Military in the insurgency period. 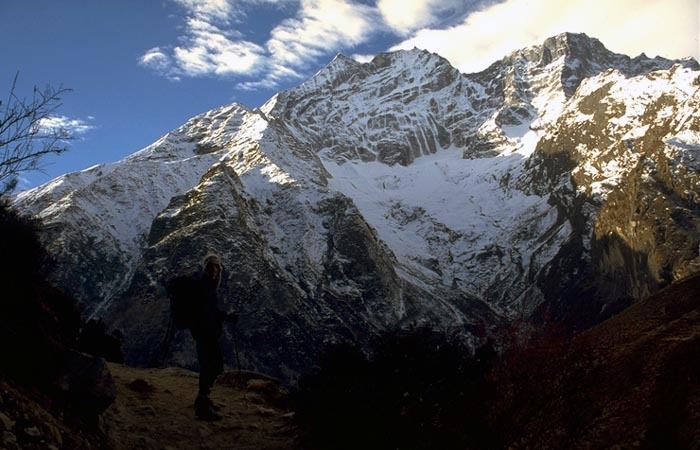 From Simigon, it is a trek to Kharka Camp where the picturesque view of Mount Dhaulagiri and Tukuche come slowly into sight.Then it is onto Bedding where we rest for the day to acclimatise ourselves to the high altitude we are in. Next, we hit Nagaon and then onto Kabuk. 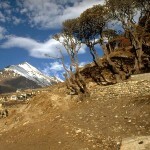 On from there, it is Noisy Knob Camp, a misnomer for the noise comes from natural sources rather than human activities. 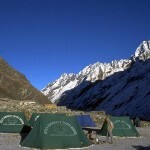 The next day’s stop is at Tashi Lapcha Camp at 5,777m. 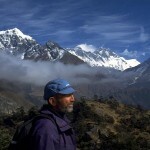 Here we are in the Khumbu region. 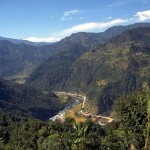 Then it is onto Thyangbo, Thame, Namache and Lukla where you fly back to Kathmandu. 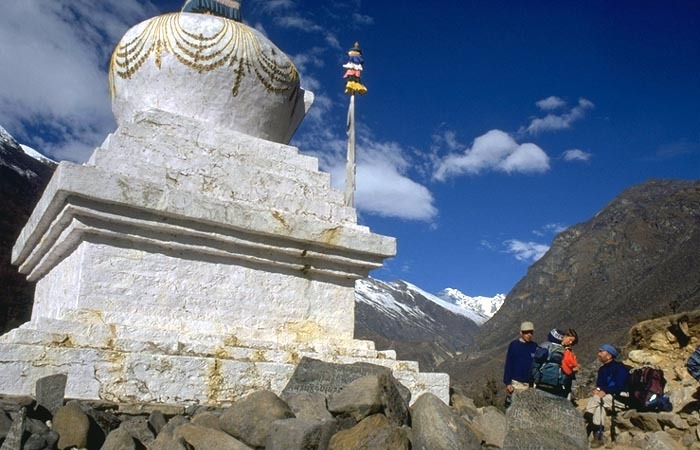 Our bus drive takes you towards Lhasa where we leave the highway at Lamosangu and head towards Dolakha and move past it to Shigati. We rest at a Lodge for the day and night. 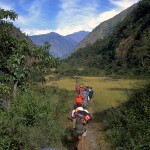 In the first leg of the trek, we hike to Suri Doban from where we continue along a river trail and then onto flat land crossing a few streams and forests with varieties of orchids, rhododendron and other floras. Finally, across a suspension bridge we get to Jagat; a town of varies ethnicity. Initially following a well trodden path the trail ascends and descends through a forest and then following a river, the valley gets narrower and after crossing a suspension bridge a steep climb takes us to the village of Simigaon perched on the terraced mountain. 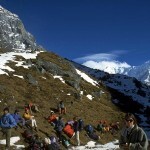 Pass a few Sherpa hamlets; getting the magnificent view of Mount Gaurishankar is wonderful. From the ridge at the top we trek towards the Rolwaling valley where the trail becomes rockier and beautiful pine forest become more apparent. Descending the river of Rolwaling, we get to the camping site. 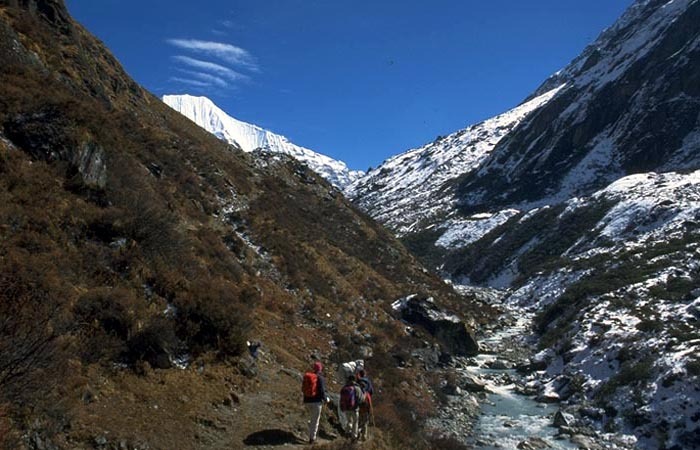 Taking a uphill trail through a variety of plants and rhododendron forests, we continue the trek via the Rolwaling stream deeper into the valley till the confluence of the river Gaurishankar. Ascending up and over a relatively flat trail, we get to Beding. 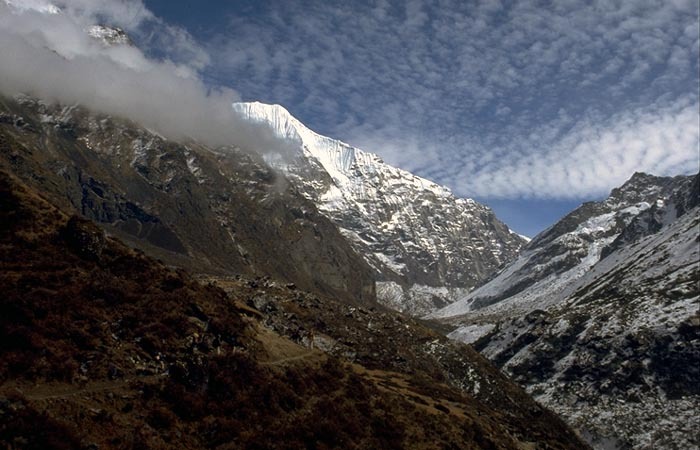 Today we rest at Beding to acclimatize to the high altitude we are in, with side trips Lha Dengka (4030m). 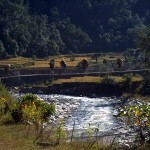 The day’s trek begins with a relatively easy walk along the northern bank of the Rolwaling River. 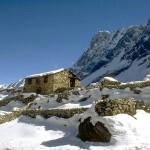 Passing the summer hamlet of Beding, peaks of more than 6000m begin to appear in the eastern horizon. Passing the believably meditation place of Guru Padma Sambhava, we reach the summer hamlet of Na, apparently with the touch of high mountain potato fields. 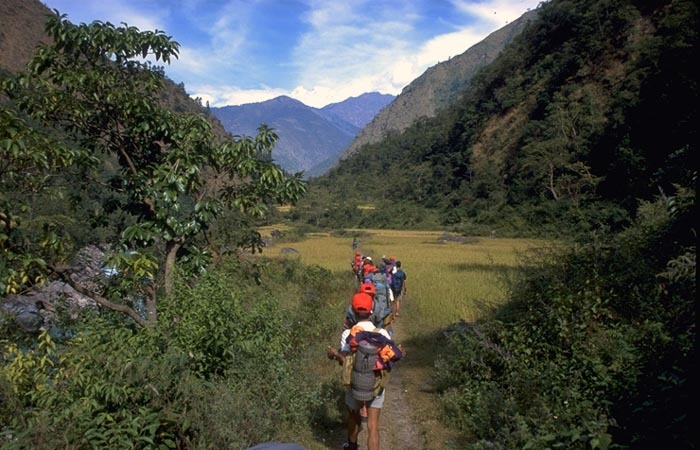 The day’s trek begins along the southern bank of river following a shallow stream where we cross at Sangma and up moraines to reach its terminal to reach Tsho Rolpa where we camp for the night in Kabuk. 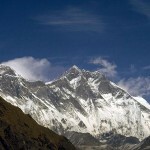 From the camp we get the surreal sight of Tsoboje (6,689m) and Dragker-Go (6,793m). Hiking the northern side of the moraine, and continuing further along its right side with frequent overhanging rocks, we trek above the glacier on the rocky surface of it. 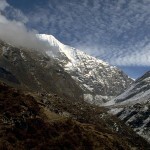 Below will be the Dromlambau glacier. Further around this section is the danger of rock falls. Getting to the middle of the glacier is the safest. 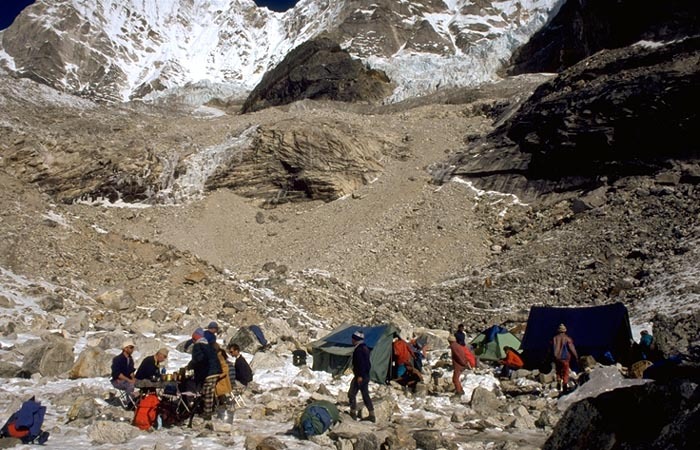 Walking further for an hour or so we get to Noisy Camp, a misnomer in name as no drunken brawls happen here but from the constant noisy though the night of breaking ice and falling rocks reaching the camp site. 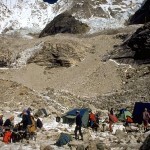 Hiking further from noisy camp further up the moraine traversing both side and hop skipping exposed rocks for a couple of hours, we get to Tesi Lapcha Camp. We camp here for the night. Hiking further up the moraine up east, we get to the vintage of the summit of the Island Peak of Parchamo or to continue onto Ngole. 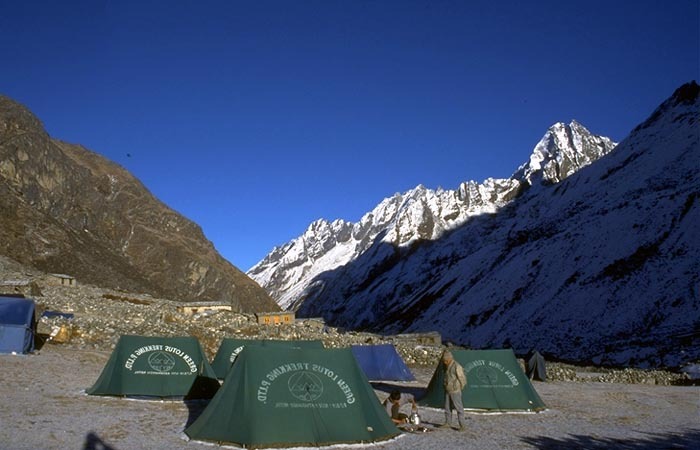 This Parchamo High Camp gives a 360 degree view of the Rolwaling valley to the west and the entrance to the Khumbu region to the east. We set camp for the night. 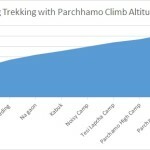 To will be a day rest with trail attempts to the summit of Parchamo the island peak and to get used to the high altitude we are in. 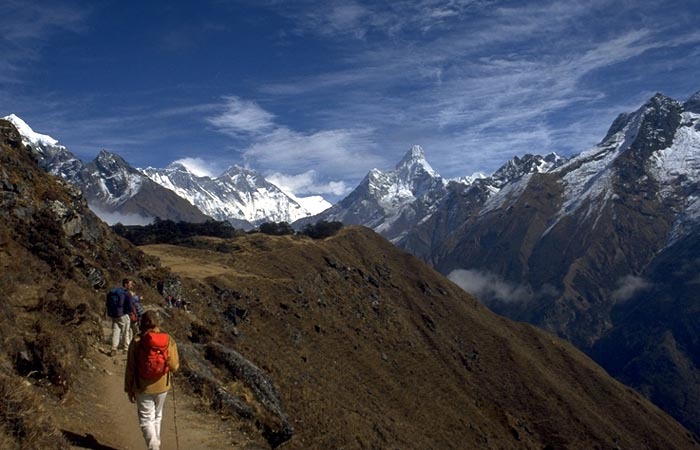 Today we try to conquer the island peak of Parchamo that gives us an astonishing view of the ranges surround the Rolwaling Valley and the Khumbu region as well. We return to Parchamo High Camp to rest. Hiking further down the moraine after the vintage point to the eastern side of it and over more exposed rocks and ice, we get to Ngole where we camp for the night. 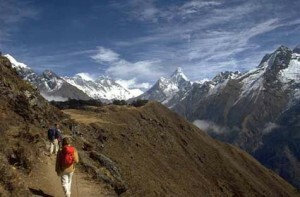 We have now come to the eastern side of the Rolwaling Valley into the Khumbu region. 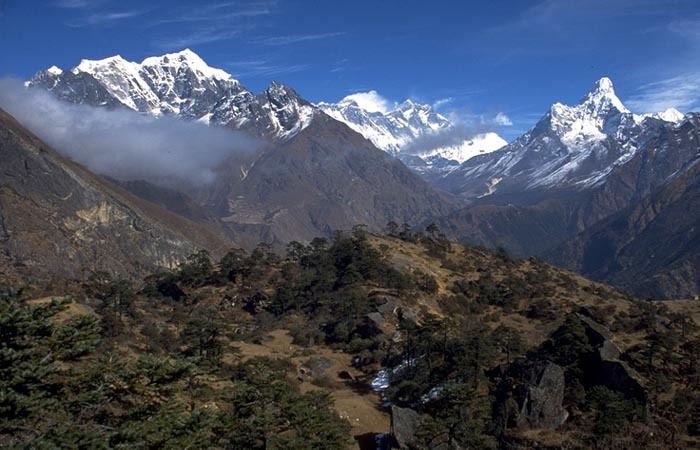 Trekking further east along a well define trail, we are well in Khumbu region and we continue descending to the Thame Stream and on reaching it to Thegpo from here we get magnificent views of Mounts Ama Dablam, Makalu and Lumding Himal. Passing through shepherd huts and pastoral lands, we finally get to Thame where we lodge for the night. 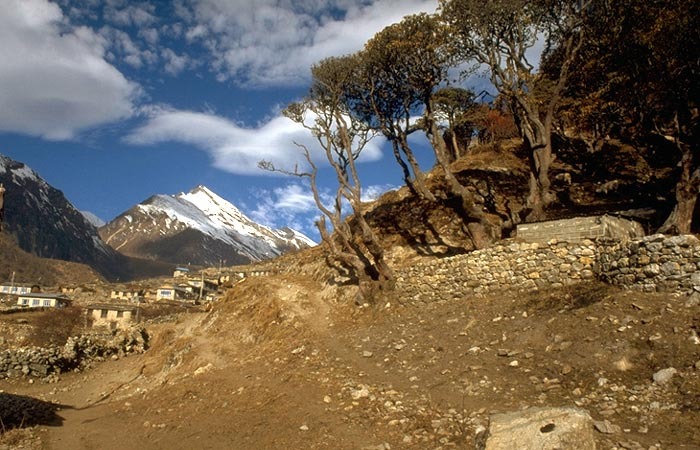 We trek to the affluent town of the Khumbu region, Namche Bazaar. Heading further east downhill for a short while, we cross Bhote Koshi River and after twenty minutes or so, we gradually begin ascending uphill passing a number of villages, mani walls, prayer inscribed on fluttering flags and on boulders, we get to Khunde and Khumjung from where Namche comes into view. After a 45 minute hike downhill, we hit the town. O/N stay in lodge. An hour’s trek gets us to confluence Bhote Khosi and Imatjse Rivers to make way for Dudh Koshi which we follow most of the way till Pakding in the backdrop of the highest mountain in the world, Everest. 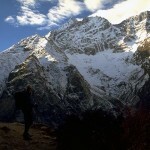 Walking leisurely through lush green scenery we reach Cheplung and finally Lukla. O/N stay at lodge. A forty-five hike to the airport in Lukla gets us in time to catch our early morning flight to Kathmandu. 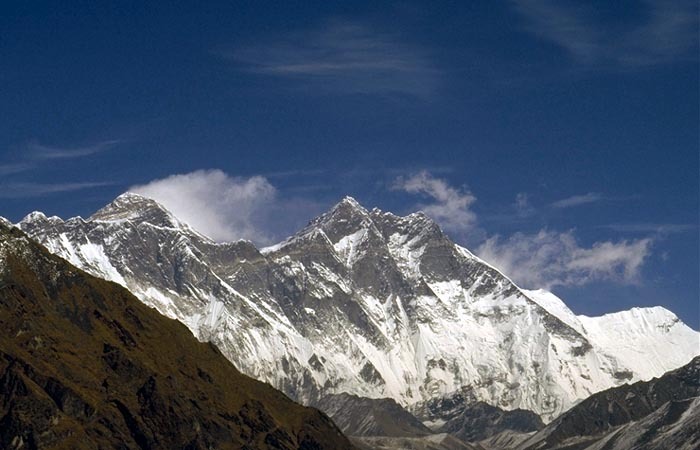 In air you would catch the panoramic view of many Himalayan mountain peaks above 8000m and Mount Everest the highest in the World. You get to freshen up at the hotel and then, to either rest for the remaining part of the day or to go sightseeing and buy souvenirs.